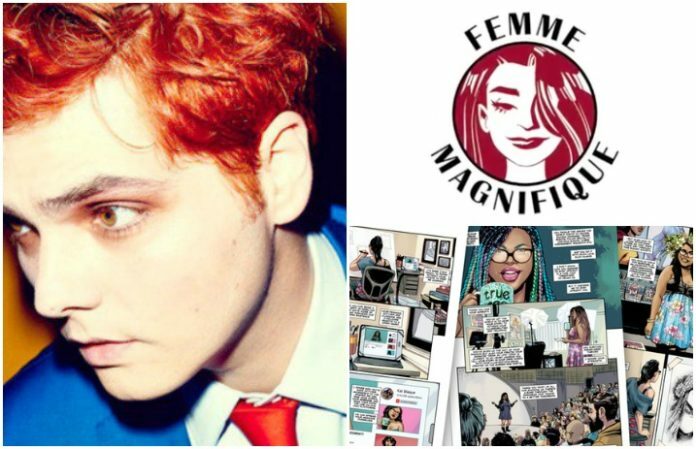 A Kickstarter has been launched for a 30 comic-book series called Femme Magnifique, which will salute women of pop, politics, art and science. And guess what: A familiar name is on the creative team list. Mr. Gerard Way himself will offer his comic book talents to the project. Funding levels ranges from $5 to $5000 and come with exclusive rewards such as original artwork, limited edition bookplate signed by the 100-plus creators, VIP cocktail parties and more. The curators of the series are Shelly Bond, Kristy Miller and Brian Miller. The later two are the founders of Hi-Fi Colour Design and Bond is the editor. You can donate to the Kickstarter here.